Last Friday of 2013 has come, and it means that we have prepared for you the final game news digest, which includes the most interesting news of the December’s end. So sit back in front of your PC and start reading, it will be interesting. This week Vin Diesel - one of Fast and Furious series’ stars - has announced that due to the tragic Paul Walker’s death the release of the seventh part of this blockbuster will take place in April 2015. 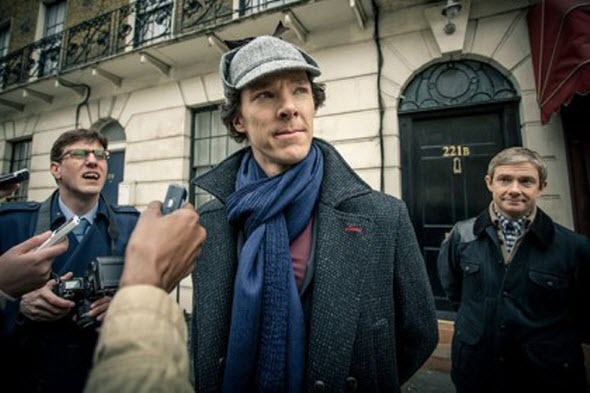 Also there is new information about another masterpiece of the film industry - Sherlock series. Its creators have published an interesting mini-episode of the third series’ season and have also shown new bright snapshots. This week is also full of news about famous Lara Croft. Thus, at the beginning of the week a collectable card game - Lara Croft: Reflections - was released, and a bit later an interesting fan-film to the series appeared in the network. More details about all these news you can read in the full articles. Titanfall game - an upcoming sci-fi shooter, which will be released in early spring 2014, - has got two fresh trailers this week. The first video tells us about the abilities of Stryder titan, and the second one describes the achievements of Atlas machine. Fresh Call of Duty: Ghosts update has brought in the project not only the fixes of some bugs, but also a new game’s mode, entitled Heavy Duty. If you want to know what you can do in this mode, then click on the link above. Well, what kind of week’s game news digest comes without information about GTA? Thus, on Wednesday Rockstar told about the Christmas gifts, which it has prepared for the fans of its incredible multiplayer mode - GTA Online. Here you will find the holiday-themed items, the sale deals on the vehicles and weapons and updated Snapmatic features in order to create cool pictures. Enjoy! Left 4 Dead 2 game is absolutely free on Steam! The publisher and the developer of Left 4 Dead game series has been unusually generous this week. For two days it has allowed everyone to get Left 4 Dead 2 absolutely for free! The action, however, is already over, but if you have mananged to use it, then accept our congratulations and enjoy the game freely. Don’t you know what to do in the upcoming holidays? Ubisoft company knows because the developer of this stunning game has prepared for you an exciting night adventure in Assassin's Creed 4 multiplayer. This competition will allow you not only to play on your favorite map at night, but also earn a lot of interesting awards. Well, it has already become traditionally that our week’s game news digest includes a review. At this time we would like to offer you to find out more about the projects that will be launched next year. And if you have one or several your most anticipated games, do not forget to write their titles in the comments to the review.